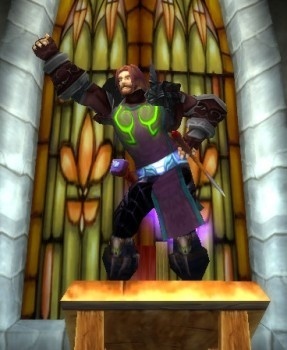 If you're planning on getting a divorce, you'd better watch what you do online - even in Azeroth. Divorce is traditionally a very ugly thing. Not only does it represent the end of what was hopefully once a loving relationship, but it's the splitting of two lives: Shared possessions, assets, and even children must now be split up. Naturally, divorce lawyers will use whatever evidence they can in their client's favor - and lately, with the popularity of Facebook, the number of cases in which online evidence is a factor is only increasing. In fact, according to USA Today, the American Academy of Matrimonial Lawyers says that a whopping 81% of its members have used online evidence to build their cases at some point in the past five years. While the main point of contention is usually Facebook - shouldn't have posted those pictures of you hooking up with your mistress and forgotten to de-friend your ex-wife's brother - online games are being used as evidence as well. â€¢ Father seeks custody of the kids, claiming (among other things) that his ex-wife never attends the events of their young ones. Subpoenaed evidence from the gaming site World of Warcraft tracks her there with her boyfriend at the precise time she was supposed to be out with the children. Mom loves Facebook's FarmVille, too, at all the wrong times. So remember, people: The next time you decide to raid Icecrown Citadel when you're supposed to be watching your kids, it could come around to bite you in the rear.